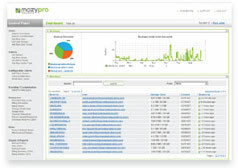 » Sign Up for MozyPro Today! Let’s face it – a company’s livelihood lives on a computer. Client information, billing, media files, proposals, email, etc. We would be lost without it. So, what would happen to your company should the worst happen? What if your data is lost? 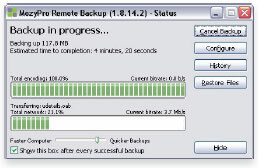 Even if you have an on-site backup of your data, a fire or other natural disaster could render it useless. That’s why you need an online backup plan. That’s why I personally use and recommend Mozy Online Backup. Mozy allows you to backup your critical files online. And you can access them from anywhere – either through a desktop computer or an iOS/Android mobile device. Mozy employs the highest security standards and stores your data in world-class data centers. Backup solutions start at less than $5 per month, with no setup fees, no hardware to purchase, and little management required.